Avoid difficult-to-use diagnostics PCs and dependency on experts to access diagnostics from your rolling stock. Perform diagnostics on a unified IoT platform in the cloud, anywhere and anytime. Monitor important components and be alerted about abnormal behaviour on your rolling stock. Confirm the alerts online and plan actions to prevent a possible inline failure. Assist drivers and maintenance teams with real-time information from your rolling stock. Help them to take the right actions or to better prepare for maintenance. Build and share knowledge about your fleet with your teams and partners, and ensure that making the right decisions and acting faster becomes easier in the future. Perform diagnostics in the cloud yourself, instead of having assets enter the workshop for diagnostics or relying on a full service diagnostics contract with OEMs. 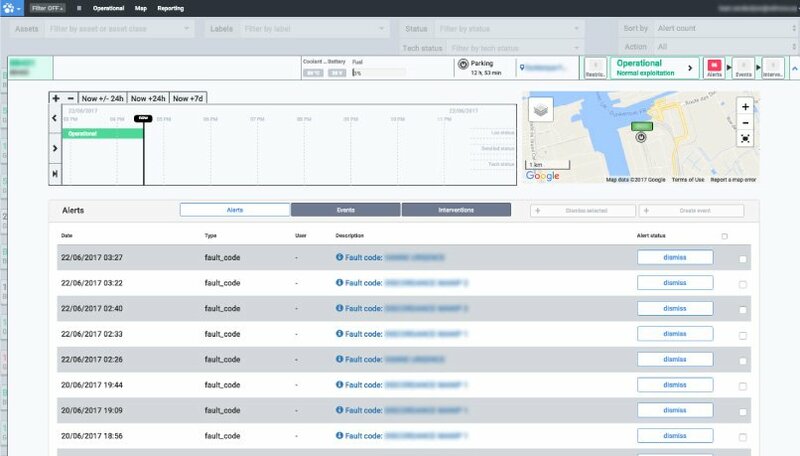 Improve your fleet availability by monitoring abnormal behaviour on your rolling stock automatically instead of manually. Set up notification rules for the fault codes and parameters you wish to monitor and be alerted whenever abnormalities are detected. Advanced analytics and machine learning on our side insure reliable alerts. Confirm the alerts you receive on Railfleet using the data inspector. The graphs allow you to easily spot and verify any abnormalities that are identified by the automated alerts. 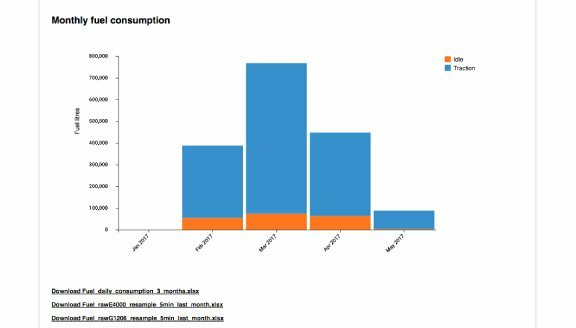 Select the parameters and type of data you wish to display on the comprehensive graphs and you’re ready to start analysing. Thanks to full data-ownership you can view detailed real-time and historical telematics data from your assets at any time. 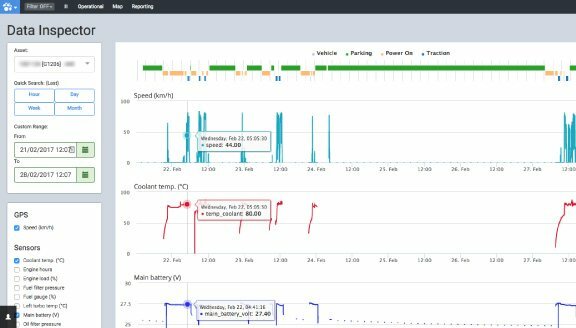 Analyse and compare fault codes and abnormal behaviour in the telematics raw data dashboard, export it to external systems or download a selection of data for further analysis. Aggregate data to easily perform recurring reporting. Analyse kilometers, engine hours and counter reading on a daily, weekly and monthly basis. Study how your railway assets are being used and identify the assets with the most intense usage patterns. Run regular statistics on railway asset fault code occurrences and identify weak assets. Interested in being notified of abnormal behaviour and preventing inline failures? Get in touch with us today! 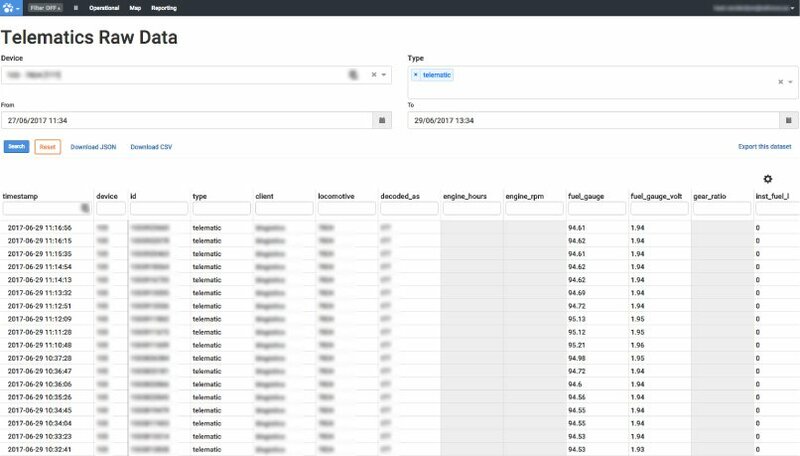 Download filtered or unfiltered data from the telematics raw data overview as a JSON or CSV file for further analysis. Export up to 5000 records with the regular data download. Access large data sets on your own big data analytics systems by connecting them to Railfleet via our RabbitMQ queue. The data is available in your systems directly after they are generated.